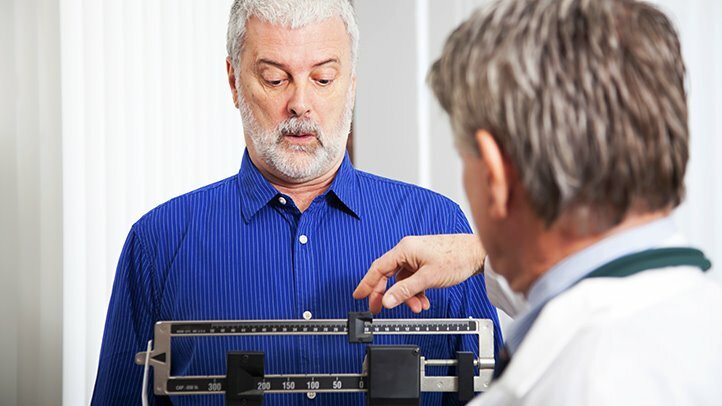 People may be referencing a wide variety of physicians and specialists who commonly instruct their patients to shed some pounds. Perhaps for you it was your primary care or family doctor who knows you well, cares for you and your family or has maybe even became a personal friend. They may be getting worried about the direction your health is headed or the known risks and expenses that living overweight or obese brings. They don’t want that for you! So, they take the risk and have that conversation that is guaranteed uncomfortable for them. They politely suggest that you drop some pounds. Or, maybe true health issues have already developed and it was a heart doctor (cardiologist) or diabetes doctor (endocrinologist) who clearly understands the serious complications that extra pounds create for those type of chronic conditions. Another very common example is orthopedic surgeons who may be unable or unwilling to do surgeries like hip and knee replacements until a person gets to a healthy weight that will not create short or long term challenges for those procedures. Actually a wide variety of surgeries get delayed or totally axed for weight related reasons. One last common occurrence is fertility doctors. After ruling out some basic functional causes that interfere with pregnancies, fertility specialists who are straight up will often make that same exact recommendation: Lose weight! You see, sometimes the solution for fertility issues (like so many others) cannot come from an injection or some outside-in fix. To conceive and sustain a healthy pregnancy some women simply need to get back their body into a healthier state – meaning a healthier weight in many cases. There are a few interesting things that we often pick up when this sentiment is shared. First, it’s as if some people seem shocked or surprised that their doctor (a health expert or maybe even a specialist of some sort) would dare say something like that. It’s like the patient being told this is upset, angry or agitated that such an authority figure would share such a TRUTH. Why would that be? After all, we expect (and pay) doctors to be honest, professional and expert. Yet, when they are all of those things about a topic such as living overweight or obese it seems to annoy us. Now, we will certainly agree that some doctors could “soften the blow” a bit and develop a bit more bedside manner as they have such a personal discussion! The weight and obesity topic is no doubt a very emotional one for most people. But, the bottom line is this: it is a doctors obligation to tell you the truth; and you’ve got to take the good with the bad when it comes to information and suggestions your doctor is making. The other interesting emotion people give off about this statement seems to be one of confusion or, dare we say, BLAME. Some folks insinuate that the doctor didn’t tell you exactly HOW to lose weight … so what do they expect? There was no plan or specific recommendation given. Or, maybe it was something very general like “Eat less. Exercise more”. While we understand this may be frustrating, let us explain our perspective on this. Weight loss coaching and advising is really NOT what they do! It’s really NOT in their “wheel house”. It’s simply NOT their specialty! The fact is weight loss is quite tricky and time consuming. As you probably know it is not always simple to lose and maintain a healthy weight. In fact it is usually NOT easy at all! If it was, we would not have the staggering numbers of Americans who are overweight and/or obese. Most doctors are so busy focusing specifically on what their specialty is that investing time, personnel, equipment, etc. for weight loss in their clinic is just not an ideal or preferred use of their resources. And, most general practitioners are so busy dealing with those urgent matters people flood in with every single day that, again, weight loss advising and monitoring just gets pushed to the side in most cases. So, if you have ever heard that recommendation to “lose weight” from a doctor, just know that those doctors know you need to lose. They may even have some knowledge about how to do that. (Side note: many of them could also benefit from practicing what they preach!)  But, it is just not what they do in practice. Accept that. Clinical weight loss IS what WE do! So, if one of your doctors has urged you to lose weight but has not provided you with a clear path, some sensible direction or legitimate plan to help you achieve that recommendation please don’t blame them. And, don’t be irritated with them. Take responsibility. Connect with us. And, surprise your doctor on that next visit! Like so many others have done: YOU CAN DO IT! Click, call or just come in!